Facebook messenger offers an easy to use and easy to implement chat solution. When used properly, this social media tool can help businesses create a relationship with customers that feels personal and familiar. 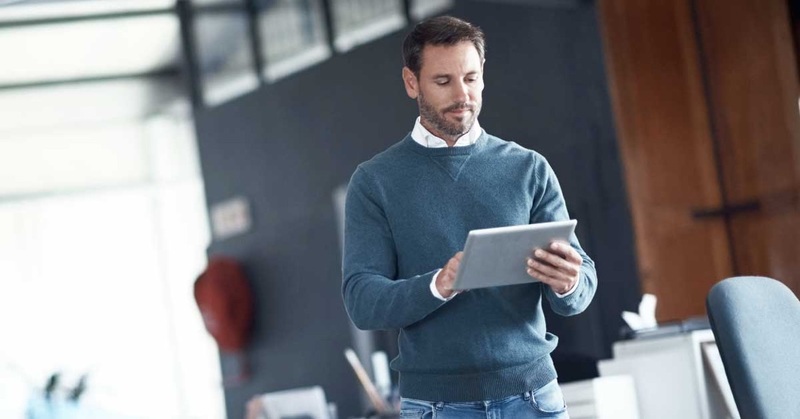 A quick response time isn’t simply a nice perk for a customer. It can often be the make or break in a customer’s purchasing decision. Furthermore, the slower your response time, the more likely a customer is to escalate their issue and share their experience with others. This is true for any type of communication with your business. However, the expectations of immediate attention are heightened in the social media world. Facebook rewards businesses with prompt response times by placing a blue ‘very responsive to messages’ badge on their page. ‘Very responsive’ badges are awarded to pages with a response rate of 90% and a response time of 15 minutes within the last 7 days. Bonus: Don’t know the answer to a question? Respond anyway. Let your customer know that you are looking into their question and will get back to them. If you can’t answer the question within one hour, be sure to follow up and let them know you are still trying to find the information. Facebook allows you to set your page's status to away for up to 12 hours at a time. This lets you alert fans that you're unavailable and avoid being penalized by Facebook if you're able to respond promptly. When you’re going to be unable to respond to messages, such as at night or during holidays, set your messenger to away. You can set your page’s away status for up to 12 hours at a time. Not only will this help customers know you aren’t available, it will help you maintain your ‘very responsive’ badge, as the slow response times won’t be counted against you by Facebook. There are multiple instances when it’s best to move a conversation out of the public eye. For instance, if a customer has a complaint, it’s best to initiate a private conversation as quickly as possible. 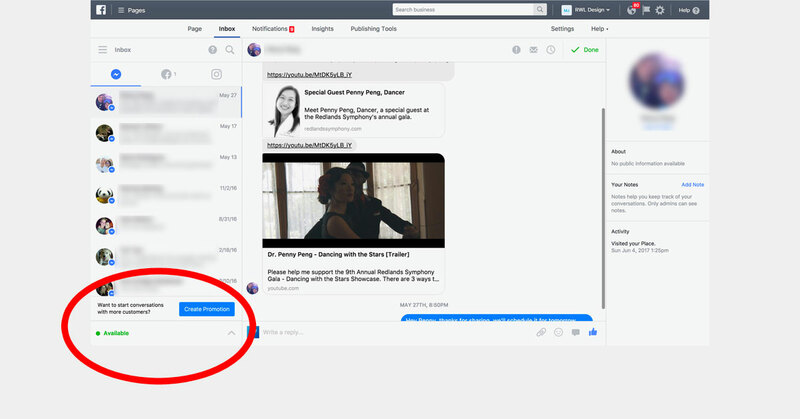 One of Facebook’s latest updates allows you to respond to comments on both your page and post privately through the messenger app. And, it gives a clear noticed that you did so. This allows anyone viewing the content to know that you didn’t just brush off the comment. As obvious as it sounds, make sure all of your customer service representatives using Facebook Messenger maintain a courteous attitude. Frustrated or angry responses simply escalate a customer’s dissatisfaction. Make sure your responses are polite and empathetic. Don’t brush off the customer’s issue. Be professional. And if necessary, ask another colleague to step in who might be able to help mitigate the issue. Using your customers' first names helps establish familiarity and strengthen a personal bond between your business and each fan. People love to hear others use their name. On a subconscious level, it makes them feel important and it helps you develop a strong rapport. You don’t need to use their full name. In fact, it can actually sound a bit too stuffy. But a first name is a great way to go. Consider your experience as a customer. How frustrating is it to talk to an automated system? How much more enjoyable is it to call a helpline and talk to an actual person? By signing messages with your first name, you help remind your customers they are talking to a real human. Don’t make your customer repeat the same information over and over again. If this isn’t the first time they’ve messaged you, take a quick look through their past chat history. This information can allow you to ask personal questions, resolve their issue more quickly, and reinforce their value to you. Emojis aren’t the end all to be all of social media. But, they can help you communicate reactions and build a more familiar rapport. Take a cue from the customer’s own dialogue. Particularly if they are using emojis, you may find it useful to mirror their behavior. Once you have started a dialogue with a customer through Facebook Messenger, you have the ability to message them again. Don’t abuse this privilege. We repeat – DO NOT ABUSE THIS PRIVILEGE. However, if you’ve had the opportunity to learn about your customer’s likes and interests as they relate to your business, messaging them with a particularly exciting update might be to your advantage. Make your message personal. Refer to the specific comment or conversation about which you are reaching out. And if you can, provide a direct link to the information you are sharing. For instance, did you have a customer inquire about a seasonal product you offer? Once the product is available again, you may reach out just to let them know. Need help personalizing your social media strategy? Contact our creative team. Understanding Twitter etiquette will help you ensure good first impressions and build better relationships.